the very edge of who we believe we are. Sometimes we may even feel as though life has pushed us right over the edge. Many people describe this as a feeling of being tested, as though life is testing something within them. While that certainly may be possible, I'd like to offer another perspective. We live in a world where we've been conditioned to believe that our achievements in life may be measured. And in those measurements we're either successful or we've failed. The belief that life tests us falls right in line with that either/or kind of thinking and allows us to succeed and fail many, many times in our lives. What if the challenges of life are not tests at all? What if our greatest challenges are simply opportunities to demonstrate our mastery of a particular skill or relationship? In an opportunity, it is impossible to fail, or to succeed, for that matter. In an opportunity, all that we can do is to meet our challenge and become the best people that we can be in the presence of that challenge. To meet our challenge while honoring our personal principles of integrity and trust and in those around us. So an opportunity from this perspective can feel very different from a test that we can pass or fail. There's a mirror that shows us our greatest levels of personal mastery by presenting us with our deepest experience of personal fear. When we find ourselves in such a fear, the ancients called our experience “the dark night of the soul.” And this mirror is a mirror that helps us to understand the mystery of the dark night of the soul and how it plays out in our lives. And this is a reference to the power that lives within us, the power that must be expressed in some way in our lives. Embark on a total NEW way of thinking and being. If we reach into the deepest access of who we are and what we have available to us as people, it will carry us through what we see as the darkest experiences of our lives. And if we choose to retreat from that and we shy away from finding those portions of ourselves, many people have found in very direct ways that it destroys us, it destroys our trust and our ability to move forward in the process of life. This parable suggests that we each harbor within us a power, a force, if you will, that seeks to be shared and expressed. That's a power that cannot be denied. To allow this force to be expressed is a life-affirming experience. And to stifle this power and deny its expression can be life-denying. So what is this mysterious power? How does it show up in our lives? Well, through the story that follows we'll answer those questions, and in doing so, we'll lay the foundation this mirror of the dark night of our soul. I had a client, as well as a friend, who is an engineer whom I worked with. We'll call him Charles, although that's not his real name. And Charles described his experience of working very long hours in a corporate environment, and he became very, very good at what he was doing. He was an engineer, a software developer. He knew his craft very well. He moved through the ranks within the corporation, and soon he found himself on the road showing others what it is that he had learned and developed. He found himself at tradeshows and conferences all over the world. He saw his family very little during this time. And what he began to find was that he actually knew the people that he worked with and the people that he traveled with better than he knew his own family. He spent long travel hours with them, they had meals together, and they talked about the events unfolding in the world around them. And it wasn't long before the inevitable happened, and he believed that he was in love with a female co-worker who was traveling the circuit and attending the conferences with him. And in this belief, he left his family, he left his home, he left his friends, and he was able to get a transfer in the same career to the city where this woman lived. Everything looked like it was really good in Charles' life. and she left him. He was absolutely devastated. “What just happened in my life? This is the red flag that comes up in our life and it seems that everything looks like it's absolutely perfect, we've found balance in our lives and that balance is what promises that we will have the opportunity to demonstrate our mastery and what that balance is saying. But for Charles, he just entered what the ancients called the dark night of the soul. In the dark night of the soul, we find ourselves in the position where we lose the things that we hold onto the tightest, the things that we cling to for fear of losing them. Our fear of losing them is the promise that we will find ourselves without them at some point in our lives. The distinction I'm making here and the key to this story and this mirror is to cherish what life has given us by appreciating those things without clinging onto them for fear of losing them. And whether we're talking about financial security or our relationships to others, our husbands, wives, children, our job security, or our health, the principle is the same. I'm going to repeat this, the key is to find a way to appreciate and cherish the blessings that life has given to us without clinging onto them for fear of losing them. The flip side of the kind of loss that Charles described—and I'm sure that we've all had experiences similar to this in our lives where we lost the things that we hold most dear—the flip side of this is that nature has a built-in safety mechanism; it's a valve if you will, that promises we will never be given more hurt or more pain or more disappointment or loss in our lives than we can deal with at any given moment in time. And I believe that is what this portion of the mirror is saying to us. I invite you to think about that statement. I believe in this statement. Kahlil Gibran is speaking to us about this power in our lives. He's saying that whatever happens in our life, nobody can give us the tools to find our way through the great challenges of life because they're already there. No one can teach us something that we already know. There is something very interesting I find when I'm discussing nature's balance with live audiences. Everyone says he or she is seeking balance in life, but the truth is, in absolute balance, absolutely nothing happens. In absolute balance, there is no imbalance to trigger the system and move it forward. In balance, there is no movement. It is the striving toward balance that drives us forward in life. So when we see this in mathematical equations, for example, there are mathematics that can be brilliantly, beautifully represented on the screen of a computer, as powerful patterns and symbols that are the result of the mathematic equation. And what we find is that when those patterns find their perfect balance, that is the signal for the pattern to begin to evolve and move on once again. Bring on the change because the balance has signaled the opportunity for change to come into our lives once again. And they no longer fear those dark nights of the soul. So the mirror of our dark night of the soul, the mirror shows us what we truly value in this world and leads us to understand that the deep appreciation for what we cherish is the way to continue experiencing it in our lives. So I'll ask you to look into your life at the things that you cherish and you hold most dear, your children, your family, your career, your health, whatever it is in your life, and ask yourself how you would feel if for some reason these things were to suddenly disappear from your life. Your answer to this is the signpost pointing to where your next dark night of the soul may come from. At the same time, however, it's also your personal guide to how you may honor the things that you cherish by appreciating them with gratitude rather than clinging to them for fear of losing them. By doing so, you've also honored the wisdom of this mirror. And without ever having to experience the loss and the suffering of the dark night of the soul, the mirror serves you and leads you to the last and what is perhaps the most subtle mirror of all, the mirror of self-acceptance. I want to embrace a new way of thinking that can positively impact my future! 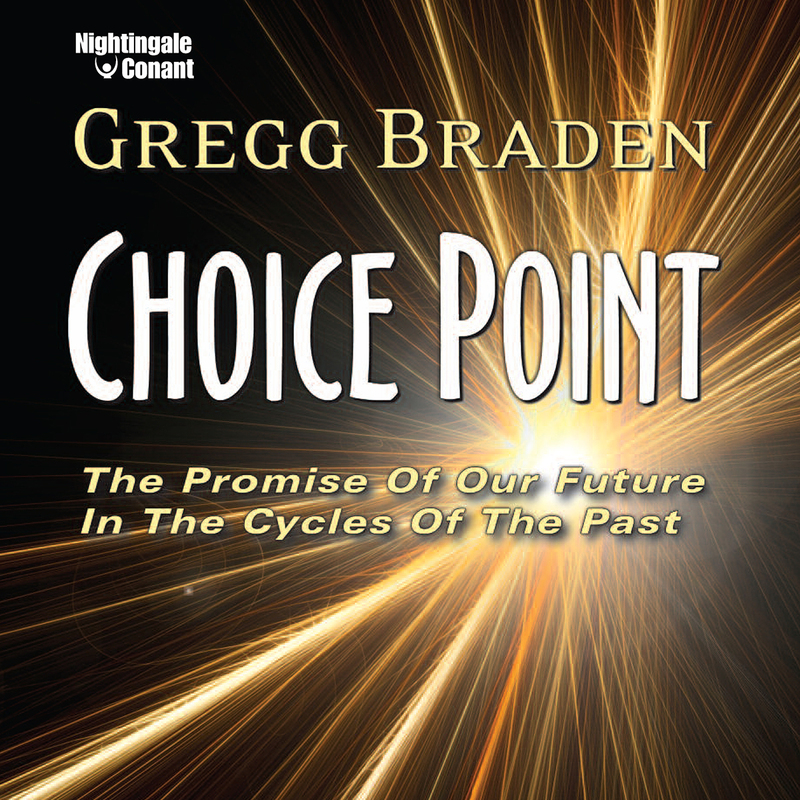 Choice Point at the special price below. — I can select one of two ways of ordering.